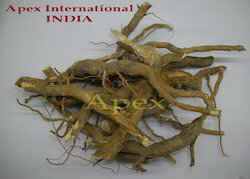 Vinca Rosea Root of Export Quality 50MT in pressed Bale packing available. Vinca Rosea Leaves and Roots is a medicinal plant and we supply and export wide range of Vinca Rosea Leaves and Roots. Our procurement of best quality Vinca Rosea Leaves is done direct form the farms. It helps in relieving muscle pain, depression of central nervous system and wasps stings. Vinca rosea thatare anti cancerous properties. Thrives in hot, dry or humid climates. Glossy green leaves cover a bushy plant 1 to 2 feet (.3 to .61 m) tall and as wide. Flowers in pure white, white with rose, blush pink, or bright rose. Flowers all summer long.